Need a learning management system to deliver compliance training? What even is a compliance training learning management system? What features do you need to ensure your training programs run well? And how can you be sure that you have the required records in place to avoid the consequence of non-compliance? In this post, we run through the basic elements of a compliance-focused LMS, and how to choose one. What is a compliance LMS? A compliance LMS is an LMS like any other, except that it has a feature set that allows it to carry out compliance focused training programs. This blend of features makes it robust enough to carry out a type of training that by its nature is rigid in its design and delivery process. In order to choose an LMS that satisfies this, it will need two broad characteristics: automated processes and accurate records. Compliance training is all about the process and the result. The process has to be airtight so that the training is successfully completed by all that are required to do it, within the mandated time frame. The training records produced have to be accurate and readily available. The consequences of non-compliance vary and can have serious outcomes for your business. That’s why an LMS is so important. It minimizes the risk of human error and produces an audit trail to prove compliance. You can carry out compliance training without software, but it is time-consuming and can lead to mistakes due to human error. A compliance LMS needs to have the right feature set to satisfy your compliance requirements. Here’s a simple checklist of features to help you select an LMS that is fit for purpose. SCORM compliant system: SCORM is the industry standard for eLearning. The format of the results produced from SCORM courses are usually recognized and understood by compliance governing bodies. Reporting: The ability to monitor training progress, course completions and certification is a must for all training programs. For compliance training, you’ll want to automate this process so that reporting is done at regular set intervals to identify any issues in the process early on to mitigate risk. Scheduled reports to key stakeholders and systems are key here as they automate the reporting process - ensuring it’s definitely carried out. Groups for departments: Not everyone is eligible for specific courses. Make it easier to discern who should be enrolled by creating groups based on departments, roles etc. Assigning managers to monitor groups adds another layer of oversight as they check in on how their teams are progressing with courses and looming deadlines. Single Sign-on: Forgetting passwords is a problem for those trying to get training programs completed. Remove this by allowing access to the LMS via SSO. Mobile access: Your LMS should be easily used on mobile devices so compliance courses can be completed anytime, anywhere. Due dates: Compliance courses have to be completed within specific time frames. You need to set due dates and communicate these to your employees. You can set the frequency of reminders depending on how close the ‘deadline’ is. Notifications and reminders: Automated notifications make sure that everyone who needs to be contacted is, and at the right time. This feature is probably the most crucial in progressing learners through their training. Certification/recertification: Once a learner completes their training they are awarded a certificate. These certificates act as a formalization that the training has been successfully completed. An LMS should automatically award these certificates, and also carry out a recertification process whereby the learner is enrolled in and notified of their courses prior to the expiration of their certificate. To choose an LMS that will carry out all of the above we recommend that you put each possible system through a test within the selection process. Map out your requirements from a compliance point of view to start. Then, translate the actions that need to take place into a workflow. A pilot course will test if that can be carried out, effectively and efficiently. Running a pilot test is a great way to see if the LMS in question performs against your needs. Creating a mini version of your training program and putting it through its paces will show you exactly where the workflow breaks down. Make sure to set up the course so that notification and reminder emails are sent out and that you monitor the entire process - from enrollment through to certification. Managing compliance training should require very little manual effort from you. The ultimate goal is to create a process to manage and deliver compliance training that is free from human error. And the added benefit of this is a low maintenance, efficient way to manage compliance, for you and your company. To achieve this you need to have an LMS you can trust. Choose a reliable, reputable LMS by putting several through their paces and testing the workflows in each before you commit to one. 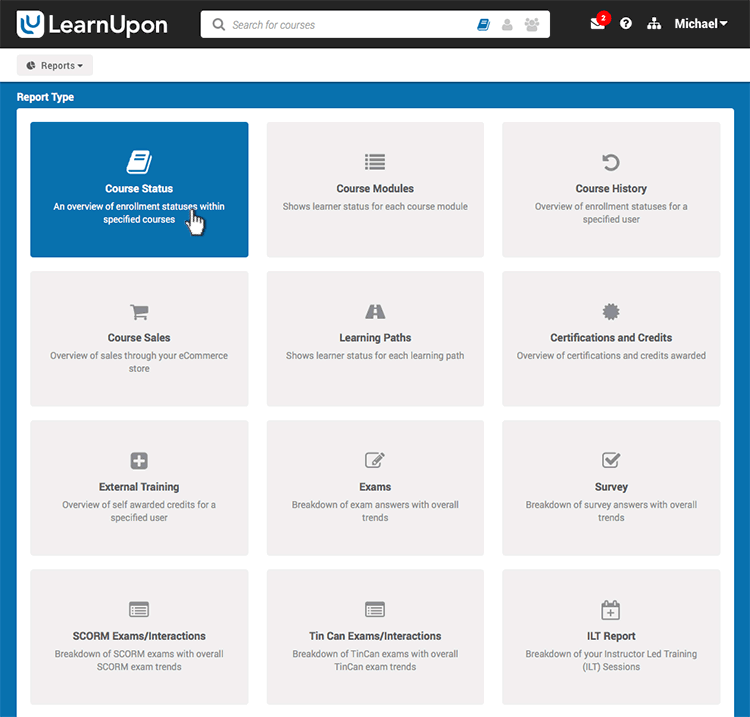 Train your employees with LearnUpon. The powerful learning management system that has the features and a knowledgeable team you need to achieve training success.